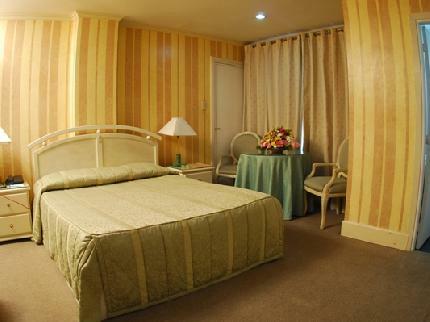 El Cielito Hotels have been providing value-oriented hotel facilities in the Philippines. 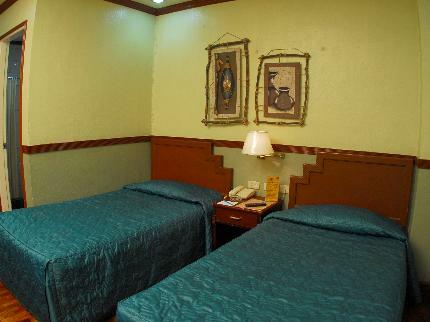 In 1975, El Cielito Inn – Makati began with just five rooms. As the demand for economical lodging increased, the inn quickly expanded. El Cielito Inn – Makati serves mainly the lodging requirements of the “Top 1000” companies in the Philippines. These companies are also among the biggest in the world covering among others, the pharmaceutical, beverage, financial, automotive and information technology industries. 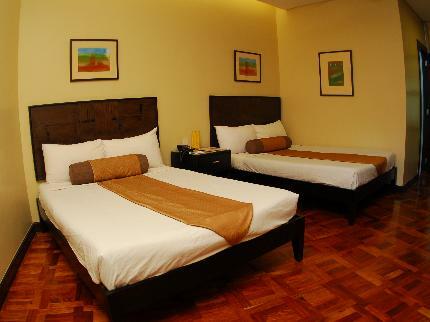 El Cielito Inn – Makati is located in the city’s Central Business District (CBD). This is just a five (5) minute walk to Greenbelt and another five (5) minutes will usher you to Glorietta. So near. So conveniently located. 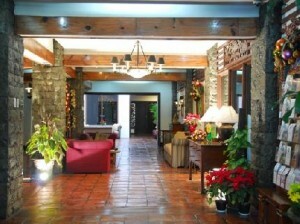 El Cielito Inn – Baguio is the first hotel built in Baguio City after the devastating 1990 earthquake. Built in 1994, the hotel sits on Engineer’s Hill offering a panoramic view of the city. It is also just a 5-minute walk to SM – Baguio and Session Road, the city’s premier commercial districts. Its clientele is mostly corporate but also serves the top inbound travel and tour agencies serving Baguio City and the other tourist spots like the Banawe Rice Terraces and Sagada. In 1998, El Cielito opened the first hotel in Sta. Rosa, Laguna. Sta. Rosa, the country’s premier industrial corridor, is host to some of the most famous brands in the world like Coca-Cola, Toyota, Ford, Honda, Nissan and Isuzu. The property is located along the Sta. Rosa – Tagaytay Road, which is now the most popular route to the scenic City of Tagaytay. The clientele of El Cielito Inn – Sta. Rosa is very much corporate as it serves primarily the industrial parks located in the area. August of 2005 saw El Cielito venturing into the management of hotels. Marikina Hotel, owned by the City of Marikina, is the first of said ventures. Principally marketed to government and institutional accounts, El Cielito has turned its operations around that resulted in its gross revenues and net income growing substantially. 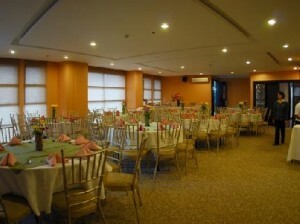 Due to the tremendous success of its operations, last February 2009, the City Government of Marikina opened the Marikina Convention Center on the hotel’s grounds. Tagaytay International Convention Center is another managed property. It came on board in July, 2008. This complex is composed of a convention center that can seat 1,200 persons, a 40-room hotel and a 166-bed hostel (dormitory type). The management and staff of El Cielito Hotels are highly motivated professionals with years of service and training in five-star hotels and other lodging establishments. 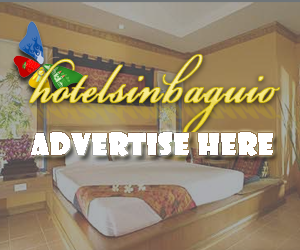 These enchanting views together with exciting finds, popular attractions, and subtle entertainment spots are literally footsteps away from the El Cielito Inn Baguio. Out the hotel’s entrance and you can find yourself in Camp John Hay, SM City Baguio, the Convention Center, Session Road, and Burnham Park in a matter of minutes. El Cielito Inn Baguio is also in very convenient proximity to the city’s domestic airport and bus terminals. And just like its sister properties in Makati and Manila, El Cielito Inn Baguio is a hotel that can care for your business. The hotel prides itself in offering business persons all the facilities they need to ensure the success of their endeavors – spacious conference rooms allow you and your colleagues to conduct out-of-town seminars. Best of all, these and much more are apart from the El Cielito Inn Baguio being able to provide cozy and convenient accommodations. 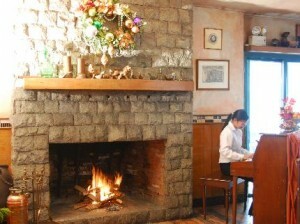 El Cielito Inn Baguio is on one of Baguio’s scenic hilltops and is near the public market. Abanao Square, Mt Pulog, Wright Park, Baguio Botanical Garden, Mount Santo Tomas and Lourdes Grotto are also nearby. 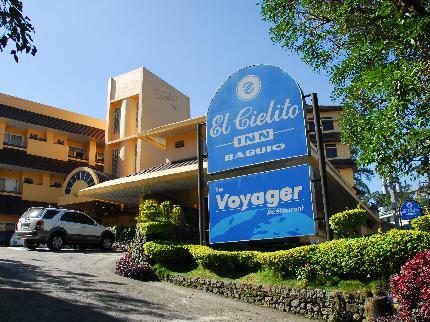 Ideally located on North Drive, the El Cielito Inn in Baguio is only 5 minutes walk from Baguio Convention Center and downtown Session Road. This property is in vicinity of Burnham Park, Club John Hay, Rizal Park, Baguio City Market, Wood Carver’s Village and Baguio Cathedral. This inn has an array of accommodation units, each of which is equipped with cable TV, private bathrooms, Internet access and a telephone. The El Cielito Inn’s Voyager Restaurant serves delicious dishes in a casual setting. 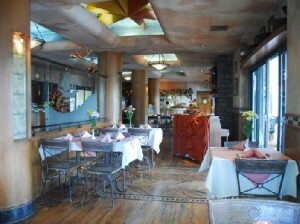 Guests can also visit any of the nearby restaurants that include Zuni, Casa Armas or Museum Cafe. 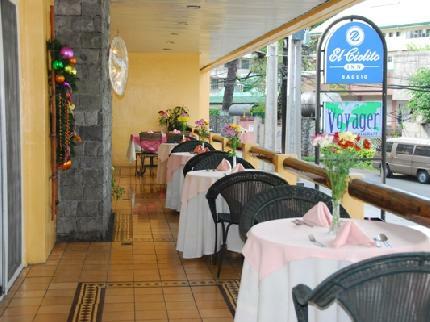 El Cielito Inn Baguio features the well equipped Magellan Room that can accommodate up to 80 guests in banquet and 100 in theatre style for various meetings, events and social gatherings. 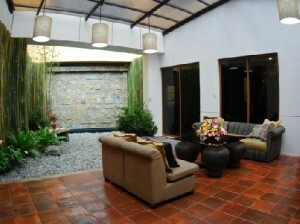 Visitors can also explore the attractions of the city or relax in the pleasant ambiance of the lobby. 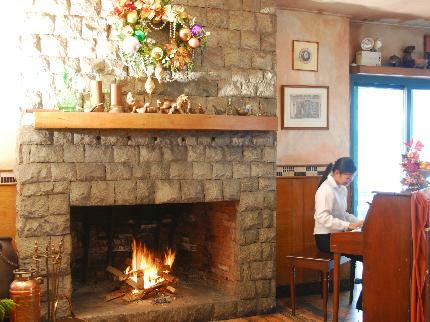 Come to the El Cielito Inn Baguio – a hotel that the city is proud to call one of its own. Considered as the Philippines’ summer capital, Baguio is bathed in refreshing mountain breeze and has been acclaimed on several occasions as the cleanest city in the country. It boasts of breathtaking hilltop panoramas dotted with pine trees and coated with the region’s naturally majestic flora.